Tired of hiding cellulite dimples or areas of sagging skin under clothes? As we get older, our skin naturally becomes a little less elastic, but that doesn't mean you have to live with it! Venus Legacy is a non-surgical option for tightening skin, improving cellulite, and reducing small areas of excess fat on the face, neck, and body! Both cellulite and loose or sagging skin are common complaints for many women. Over time, the skin naturally becomes less elastic, which can lead to drooping and sagging. Traditionally, lifting surgeries were necessary to improve the appearance of lax skin. Now, there is a new treatment designed to tighten the skin, address cellulite and reduce volume on the face, neck and body! Venus Legacy™ is a non-invasive device that uses multi-polar radio frequency and pulsed magnetic fields to create a therapeutic heat matrix over the skin. It creates a thermal reaction under the tissue that stimulates the body’s natural healing response, increasing blood circulation and causing the skin to contract. This results in a reduction of cellulite, noticeable tightening of the skin, and even a decrease in localized fat deposits. The treated area will immediately look smoother and firmer. 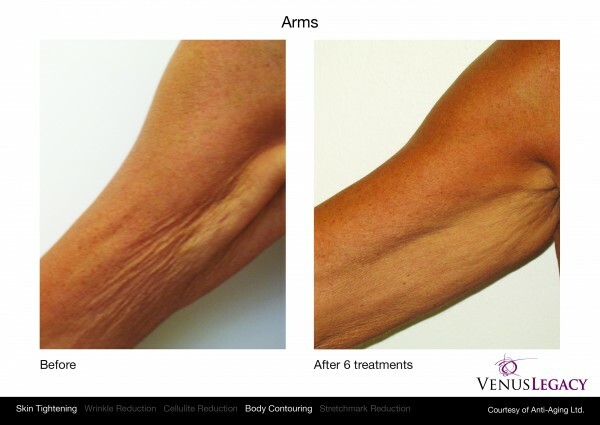 What Do Venus Legacy Treatments Feel Like? Patients report that Venus Legacy treatments are very relaxing, and many say it feels akin to a hot stone massage! Some patients even take a nap during Venus Legacy treatments. Treatments take somewhere between 30 to 40 minutes. It is recommended that patients receive between six and ten treatments for best results. It is virtually painless and requires no downtime, so you can see skin tightening and cellulite reduction results quickly and get back to everyday life right away. Can I Use Venus Legacy on My Face? Absolutely! Venus Legacy is FDA-approved for facial wrinkles. It works to tighten sagging skin and improve overall skin quality through a combination of multi-polar radio frequency and pulsed magnetic field treatments. 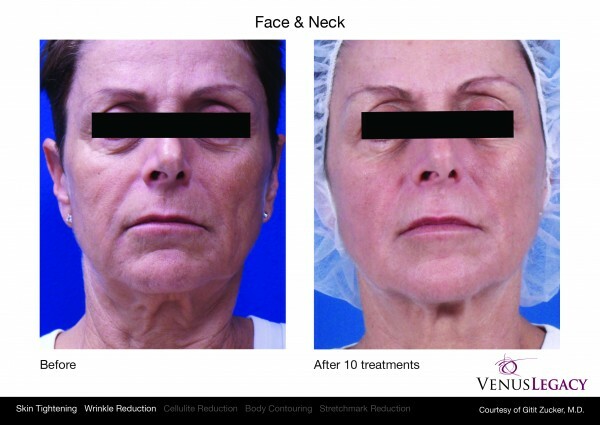 Venus Legacy’s is very effective at reducing wrinkles and creating a more youthful facial appearance. Where Can I Get Venus Legacy Treatments? Berks Plastic Surgery is one of the few plastic surgery practices in the greater Reading, Pennsylvania area to offer Venus Legacy. Patients report that the treatment is a relaxing and comfortable experience. There is no downtime associated with Venus Legacy and patients can get back to work and daily activities immediately. Venus Legacy is also FDA-approved to treat some visible signs of aging, including facial wrinkles. It has been found to tighten skin and increase blood circulation to create a more youthful appearance in the face and neck. Dr. Brian Reedy is a board certified plastic surgeon located just outside of Reading, PA. Dr. Reedy and his staff will tell you everything you need to know about Venus Legacy treatments. Contact us today for your free cosmetic consultation.